MUFF WIGGLER :: View topic - FINISHED RB1robotto... GORGEOUS!!! Those are just samples, we will have the first 100 panels batch in January! The three little robotto bros !!!!!!!!! Congrats! They look great. Looking forward to all your lineup. Yes! we are a little beyond schedule for the sales opening but still on the block! Siamo a Fabriano, in provincia di Ancona! 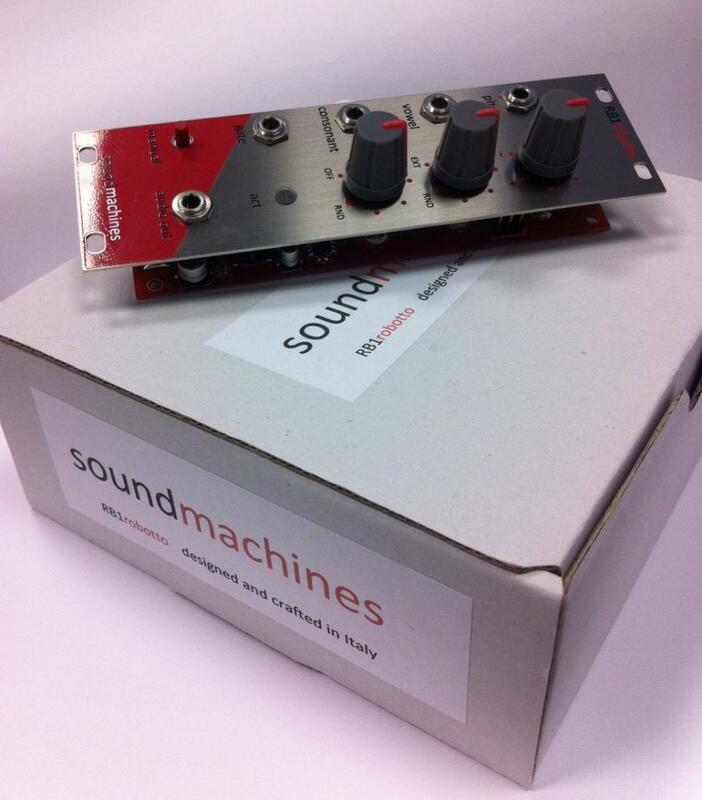 Does sound machines have a website where I can read about all the modules? Is there a page for the RB1? Check under 'products', on the RB1 page there is also the manual to download! Looks great, congrats! 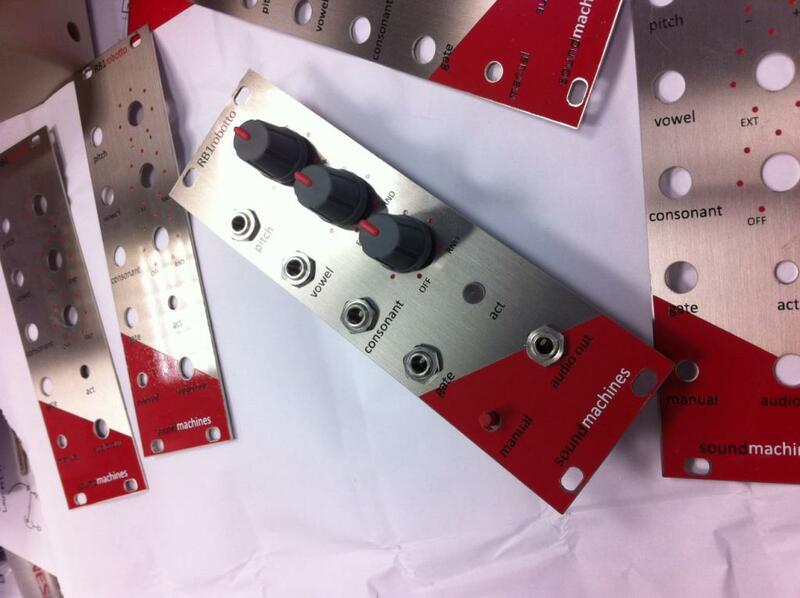 Too bad I'm not getting out of eurorack stuff, for the most part. Will the usual suspects be carrying them in the states? Great looking panel. Love the stainless. unfortunately we got a false start with panels and we've not yet received the correct ones (bad silkscreening offset..). I will give here and on the site the purchasing availability date soon. This will be anything between 4 and 6 weeks. Cheers and thanks for the patience! 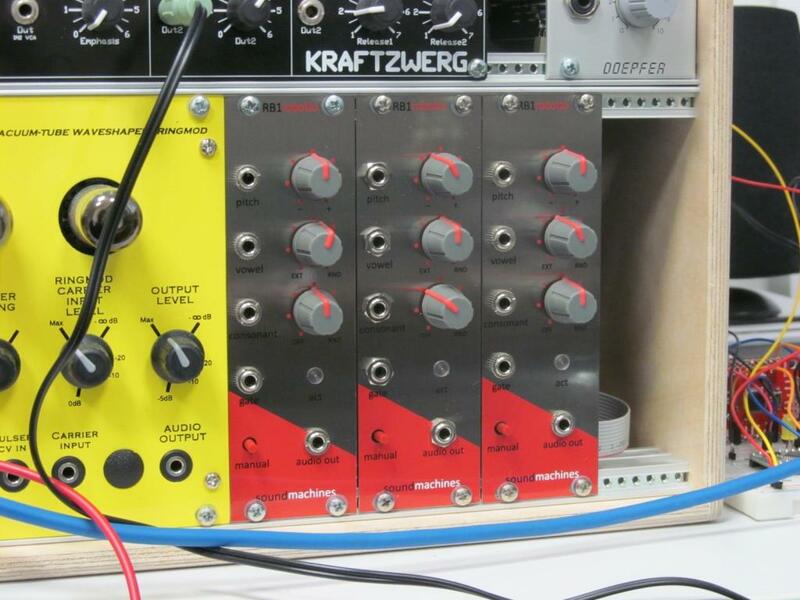 Will this module be available as a pcb or only sold as fully assembled? For the hacker-types, the firmware is based on Arduino platform and it will be open sourced. Please have a look at the manual on the website to get some more info. ... any news about ROBOTTO? How wide is it? Looks like 8hp? A little more patience. We have a 100pcs batch under way and we are expecting the correct panels (mechanical issues... ) soon. BTW, is that you with a lovely rat????? It is! I've had quite many rats, but Potemkin was without doubt both most social and had the most special personality of them all. Miss him. My little Russian Hamster 'pallino' left us last week.... It's incredible how such a small creature leaves a void so big! Now he is running on the big hamster-wheel in the sky! !